Andrew is a junior mechanical engineer from Ellicott City, MD. 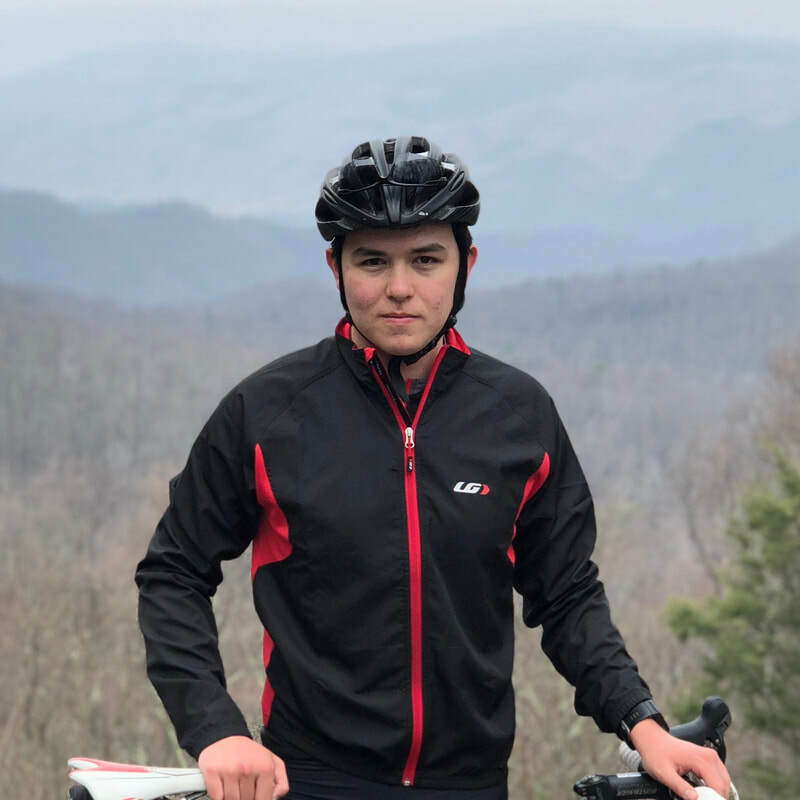 His favorite part of being of the triathlon team is traveling to cool places with friends to train and race. Outside triathlon he loves camping and music, especially jazz and classical. Caitlin is a junior studying Civil Engineering. Her favorite part about the tri team is having such good teammates that make training fun. Aside from triathlon, Cait likes to spend her time exploring, cooking, and playing cards. John is a sophomore Mechanical Engineering and Applied Math double major from Colesville, MD. His favorite thing about triathlon is spending time with friends while training. When not training, you can find him hiking, reading, and listening to music. Raisa is a freshman studying civil engineering. Her favorite thing about the team is training and racing with her friends. Outside of triathlon Raisa loves to hike, snowboard, and play music.